Sweeney ’19 and Crowe ’19 concluded that Geoff’s Superlative Sandwiches was the best deli out of the six they initially set out to try. Photo courtesy of Brian Crowe ’19 and Sean Sweeney ’19. One of the biggest complaints that Providence College students have regarding campus is the food. Students are constantly disappointed with the food served at Raymond Dining Hall and wish the College would offer better quality and variety food options on campus. However, what a lot of PC students do not realize is that the city of Providence itself is one of the best “foodie” cities in America. Therefore, we should all make an effort to explore the delicious options off campus. A lot of students have the misinterpretation that the off-campus options such as the restaurants on Federal Hill, Thayer Street, and other popular areas of Providence are too expensive. Two hungry PC seniors have explored the city’s food choices to find the best delis in Providence that won’t break your budget. 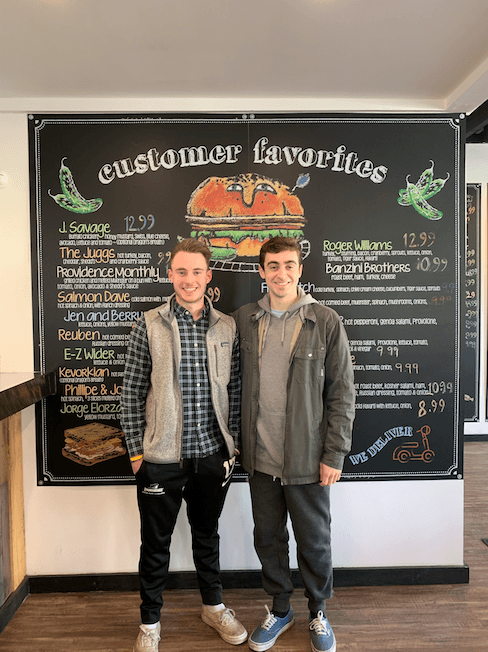 When Brian Crowe ’19 and Sean Sweeney ’19 realized they were getting sick of the campus food, as well as their usual spot to escape campus food, Anthony’s Italian Deli on Admiral Street, they decided they wanted to explore other options. 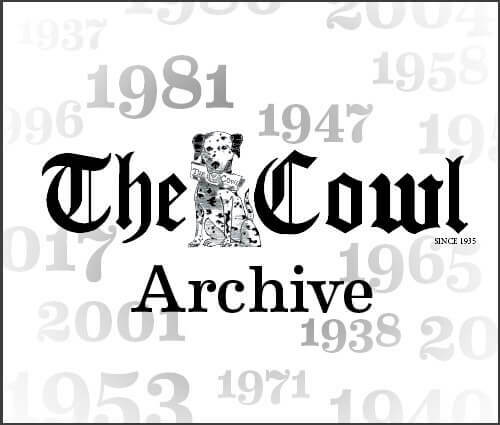 “We realized that it was our senior year and we haven’t fully experienced the great food that the city of Providence has to offer,” stated Crowe. Both being from the New York area, these two students decided to go on the hunt to find the best deli for a delicious, yet cheap, sandwich in Providence. They did their research and started with a list of six delis that they were going to try every Friday for lunch. These delis included Anthony’s Deli, Hudson Street Deli, The Sandwich Hut, Mercer’s Delicatessen, Ocean State Sandwich Company, and Geoff’s Superlative Sandwiches. All of these delis are located in Providence, only a quick drive from campus and all within the price range of $7-$12 per sandwich. 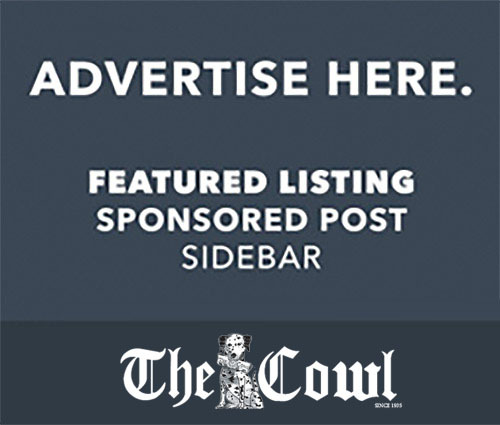 In their rankings, Sweeney and Crowe took into consideration not only the taste and quality of the sandwiches, but also sandwich variety, authenticity, and atmosphere of the deli. After tasting and discussing each of the delis and their sandwiches, they concluded that Geoff’s Superlative Sandwiches was the best deli, but they still want to explore as many as they can before graduation. While everyone has their own specific opinions on sandwiches, these two students are a great example of how eating off-campus does not have to be difficult, expensive, or elaborate. They also exemplify how you can easily explore off-campus food in a fun way and avoid continuously going to the same spots or chains, such as Chipotle or Chick-fil-A. Providence is a city full of different cultures and interests, which is reflected in the city’s diverse food options. Ranging from authentic Italian to trendy health foods such as Pokéworks and Nitro Bar, Providence has it all. So why are we limiting ourselves to Ray or Alumni every single day? As PC students, we should take advantage of our proximity to all of these amazing food spots and explore what Providence has to offer before, as Sweeney and Crowe mention, we run out of time. It also does not mean spending a ton of time and money to accomplish this. There is a plethora of cheap food options in Providence that are of great quality, and you can even split something with your friends to save some money, too. As for time, try to make it a goal of eating off-campus once a week or once every two weeks just to explore, enjoy, and go out of your comfort zone. Living in the city of Providence, we are very lucky to have amazing food options at our disposal, and it does not mean spending more than you can afford. Next time you want to get offcampus for a quick bite, be sure to check out some of these great delis that Sweeney and Crowe have explored.